Highly recommended yacht services agency in Gustavia, St Barths, run by Loic Romney, providing a truly personal service 24/7. Captains recommendations for Jicky Marine Services include… “We have found Caroline & Emmanuel and their team to be very efficient and reliable, what more can you ask for when you need someone 24/7… and I mean 24/7!!!" Jicky Marine is located on the Quai du Yacht Club. 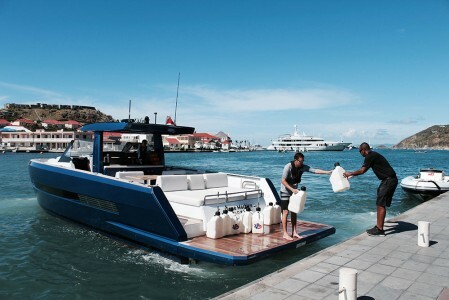 SBTT has well over twenty years experience supporting Superyachts, cruise ships and ferries in St. Barth’s. We received high recommendations for their abilities and services provided when looking after the requirements of some of the largest private yachts visiting the island.